In our experience as a Boston, Massachusetts parking lot/parking garage accident law firm, most parking lots and parking garages are veritable "accidents waiting to happen." They are environments that aren't as heavily regulated or protected as public roadways or public spaces, and more accidents occur in Massachusetts parking lots and Massachusetts parking garages than many people realize. Below is a short list of some of the injuries that can occur in these places, requiring the legal expertise of a Boston, Massachusetts parking lot injury lawyer such as The Law Offices of William D. Kickham & Associates. The vast majority of parking lots and parking garages are not "public thoroughfares" (or roads) under the jurisdiction of Massachusetts state law, complete with traffic lights or traffic controls. In too many parking lots, drivers can take an attitude that just about "anything goes." The result? Cars and pedestrians come and go in all directions in a parking lot, and the environment can be extremely dangerous. If you or someone you care about has been injured in a Boston, Massachusetts parking garage accident, we can provide you the expert legal representation that you need right now. If you are too injured to meet in our Boston or Westwood, Massachusetts offices, we can come to your home or hospital to provide you with a free initial consultation. You will pay absolutely NO FEES unless we win your case for you. Contact us at Ph. : (781) 320-0062 or Ph. : (617) 285-3600 or click here to email us. 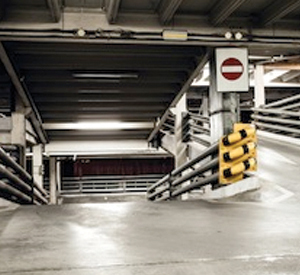 Who is Typically Liable for Injuries Occurring in Parking Lots or Parking Garages? If the injury involves a Massachusetts car accident, an auto insurance company adjuster will usually assign liability based upon either a police report, or the adjuster's review of the accident report. But what about other accidents and injuries, which don't involve motor vehicles, such as slip and falls, trip and falls, or physical attacks such as assault and battery? Normally, it is the owner and/or operator of the parking lot or parking garage, who exercises control of the lot, who is liable for injuries that occur on the property. This is because it is the owner of the property who is legally responsible for making sure that the parking lot is safe and maintained properly. If the owner fails to maintain - or design -- the parking lot or garage in a reasonably safe way, then he or she can be held liable for personal injuries that occur to visitors as a result of that negligence. In addition to the owner of the parking lot or parking garage itself, additional parties may also become defendants, such as a security company in the event of a mugging or physical attack, or a design & engineering firm in the event the property was poorly designed or constructed. If you or a loved one has suffered parking lot injuries, it is very important to understand your legal rights to receive the financial compensation you are allowed under Massachusetts law. The Law Offices of William D. Kickham & Associates are successful Boston, Massachusetts parking lot accident attorneys, and can maximize the financial damages that you may be entitled to. Click here to receive our FREE article, "The Top 10 Things To Do After Suffering An Accident Or Injury In Massachusetts." This article contains valuable information for Massachusetts parking lot & parking garage injury victims, about the legal steps needed in the aftermath of a parking lot injury. How Can I Afford to Pay an Attorney to Represent me in My Boston, Massachusetts Parking Lot Injury Case? We represent our injury clients under a Contingent Fee system. This means that if we accept your case, you will owe us no up-front legal fees, and unless we successfully recover money on your behalf for your injuries, you will owe us no legal fees at all. If we do recover monies on your behalf from the defendant, we earn our fees based upon a standard percentage of the gross amount recovered for you. You have nothing to lose and everything to gain by contacting us: Call us at (781) 320-0062, or (617) 285-3600; or email us confidentially here. We respond to all phone calls and emails 24/7. Successfully litigating a Massachusetts parking garage or parking lot injury requires experience and legal talent. We have worked with countless parking lot injury victims, and are experienced in recovering substantial financial damages that parking lot injury victims deserve. Check out our case successes by clicking here. Most importantly, we are up to date on the most cutting-edge law in this area of practice: We know how to make the best legal arguments possible, to obtain the highest compensation possible for your pain and suffering, emotional distress, lost income and medical expenses. If you recognize Attorney Kickham's name, it's because Westwood and Boston, Massachusetts injury lawyer William D. Kickham is a professional legal analyst and commentator for a variety of respected media, including Court TV (now In Session on HLN,) Fox News TV-25/Boston, The Boston Herald, WBZ-AM Radio 1030, WCVB-TV5/Boston, Nightside With Dan Rea, Greater Boston With Emily Rooney, Money Matters Radio/Boston, and The Metro Newspaper/ Boston. If you've been injured in a Massachusetts parking lot/parking garage accident, put our experience and talent to work for you. Call us at Ph. : (781) 320-0062 or Ph. : (617) 285-3600 or click here to send us a confidential email. You have everything to gain and nothing to lose.